From the author of the acclaimed Dinah Washington biography Queen comes this complete account of the triumphs and difficulties of the brilliant and high-tempered Nina Simone. Her distinctive voice and music occupy a singular place in the canon of American song. Tapping into newly unearthed material--including stories of family and career--Nadine Cohodas gives us a luminous portrait of the singer who was born Eunice Waymon in Tryon, North Carolina, in 1933, one of eight children in a proud black family. We see her as a prodigiously talented child who is trained in classical piano through the charitable auspices of a local white woman. We witness her devastating disappointment when she is rejected by the Curtis Institute of Music--a dream deferred that would forever shape her self-image as well as her music. Yet by 1959--now calling herself Nina Simone--she had sung New York City's venerable Town Hall and was on her way. As we watch Simone's exciting rise to stardom, Cohodas expertly weaves in the central factors of her life and career: her unique and provocative relationship with her audiences (she would "shush" them angrily; as a classically trained musician, she didn't believe in cabaret chat); her involvement in and contributions to the civil rights movement; her two marriages, including one of brief family contentment with police detective Andy Stroud, with whom she had her daughter, Lisa; the alienation from the United States that drove her to live abroad. Alongside these threads runs a darker one: Nina's increasing and sometimes baffling outbursts of rage and pain and her lifelong struggle to overcome a deep sense of personal injustice, which persisted even as she won international renown. 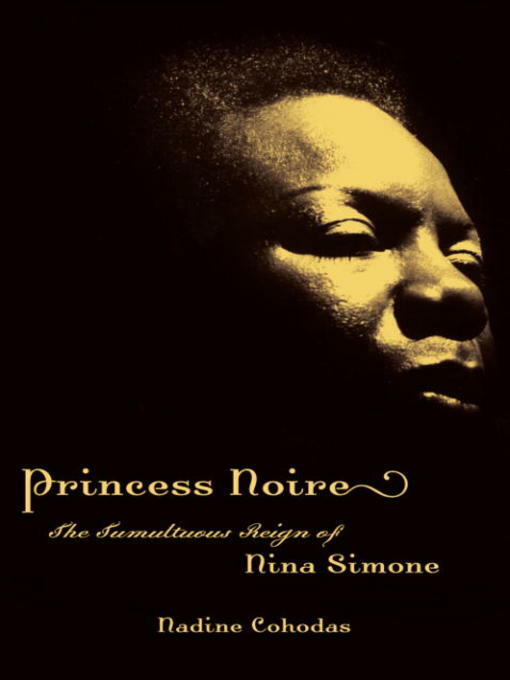 Princess Noire is a fascinating story, well told and thoroughly documented with intimate photos--a treatment that captures the passions of Nina's life.